From Patagonia to Apple, Whole Foods to New Balance, we love our favorite products–and, by extension, the companies that provide them. The emotional connections we form with our beloved brands and services are important relationships–relationships that are potentially worth billions. In the fast-paced, constantly-changing world of the modern marketplace, brands must adapt or perish—strategies, methods, and techniques must evolve to remain effective and relevant. Are you using yesterday’s thinking about tomorrow’s challenges? 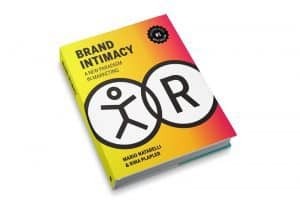 Brand Intimacy details ways to build better marketing through the cultivation of emotional connections between brand and consumer. The book provides lessons for marketers and business leaders alike who are seeking to understand these ultimate brand relationships and the opportunities they represent. Business and marketing owners face an increasingly difficult task to build brands that rise above the clutter, engage more and grow. Brand Intimacy explains how to better measure, build and manage enduring brands. Brands that are built to inspire as well as profit. Written by experienced marketers and backed by extensive research, Brand Intimacy rewrites the rule book on how to establish and expand your marketing. The book is equal parts theory, research, and practice, the result of 7-year journey and a new marketing paradigm for the modern marketer. A warning to all salespeople: if you’re not looking ahead to 2018 for new trends and focuses, you’re already behind. According to CEO and sales strategist John Asher, the ever-changing climate of the business world means it’s time to cultivate new skills for the new year and beyond. Do you want to live a long, happy, and productive life? 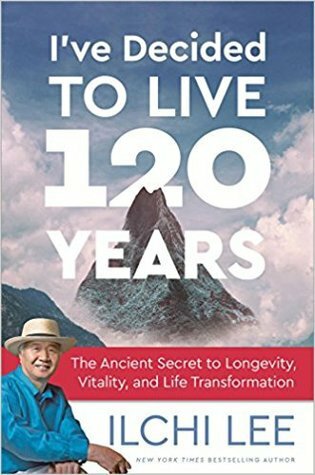 Start planning now, says world-renowned philosopher, educator, and New York Times bestselling author Ilchi Lee in his new book—I’ve Decided to Live 120 Years: The Ancient Secret to Longevity, Vitality, and Life Transformation (Best Life Media; December 2017). Lee, who is the creator of many mind-body training methods, advises people that they need to change the way they think about aging. Since a life expectancy of 120 years is now possible, they need consider how they will spend the second half of their lives. “Planning for a fulfilling old age should be as normal as planning a career path or contributing to a retirement fund,” he explains. But few people do so. For Lee, living a long, productive life means staying active physically. Exercise and movement are essential and can replace a dependence on prescription drugs and medical procedures. For the mind, Lee advises people to find a purpose for the second half of their lives. They need to discover what they want, what is truly important to them. It is never too late to try new things and be creative, says Lee. And for the spirit, people should connect with nature, meditate, and most importantly, seek a sense of completion and fulfillment. They way they can look back on their life without regret. 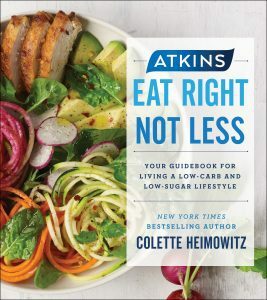 Also in the book, readers will find low carb hacks, simple solutions for reducing carbs and sugar, meal plans and the introduction to Atkins 100 – the most flexible version of the low carb lifestyle yet. The book hits stands on December 12 at all major retailers, but you can pre-order it now at AtkinsEatRightNotLess.com. What is it about golf that makes it so irresistible to everyone from postal workers to presidents? Is it the beautiful scenery, the camaraderie, the mental challenge of planning, strategy and execution? Financial planner and dedicated weekend golfer Altair M. Gobo has learned that golf is the perfect metaphor for the mental challenges of financial planning. 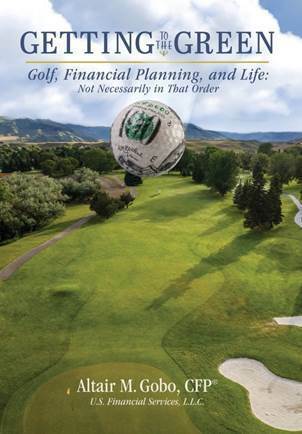 In his new book, GETTING TO THE GREEN: Golf, Financial Planning and Life, Not Necessarily in That Order (Highpoint Executive Publishing), Gobo shares entertaining and easy-to-follow lessons based on the game he loves to educate readers to take better control of their financial future. · Develop Your Strategy: Create a game plan that works for you and figure out your goals. · Work with a Pro: Just as how a golf pro can help you improve your swing; the right financial planner can help you make a great plan and stick to it. · Get the Right Equipment: Figuring out what is a good fit for you, in golf or finances, will give you the tools you need to achieve your goals. · Keep Your Eye on the Ball: It takes discipline and follow-through to achieve anything in life. Here’s how to keep your focus. · Avoid Hazards: Life is full of sand traps. Here’s how to weigh risk versus return and control those financial hazards. · Become a Lifelong Student of the Game: How to keep investing for the future and avoiding those mulligans. You don’t have to be an avid golfer to gain valuable insight that will help you achieve success—in your finances, your game and your life. This year a new generation will get to experience the treasure of a lost Christmas classic called The Boy Who Lived in Pudding Lane. Written nearly a century ago by Sarah Addington, this delightful book takes readers through the journey of Santa Claus from childhood to the jolly, gift-bearing man we all imagine. What began as a documentary for film has ended up on paper, the storytelling just as vivid and well captured in the pages of the impressive new coffee table-style book, The World Turns to War, as it would have been on screen. Jay Wertz, historical author, award-winning filmmaker, and editor at Paramount Pictures, personally interviewed more than 500 World War II veterans and eyewitnesses from 22 countries for the latest powerful volume in the War Stories: World War II First Hand™ series. What he discovered is fascinating. The firsthand accounts he gathered offer a truly unique and important window into the infamous time period – a time period that is still, and perhaps especially, studied today. Featuring never before seen photographs, images, and original maps, The World Turns to War is the perfect gift for the history buff, collector, or enlightened reader and conversationalist on any list. These are iconic names in the entertainment world of the 20th century. What do they all have in common? There was one man behind them all – Eliot Weisman. Eliot Weisman served as a manager, confidant, and advisor to some of the biggest names in entertainment – Liza Minnelli, Sammy Davis Jr., Don Rickles, Steve Lawrence, Eydie Gorme, Joan Rivers – and the “Chairman of the Board,” legendary singer Frank Sinatra. 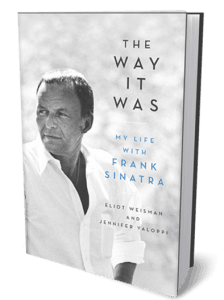 In Eliot’s new book, THE WAY IT WAS: My Life with Frank Sinatra (Hachette Books; 320 pages; $27.00), he chronicles his years as long-time manager to Sinatra as well as several of the music personalities that he managed over the years. Once thought of as vodka, ginger beer and lime juice cocktail, the Moscow Mule now has endless variations for the winter months. From The Great Maple Mule to a delightfully red pomegranate concoction served with a sprig of rosemary. This time of year, it’s almost impossible to avoid indulging in holiday food. But while most people focus on weight gain, these diet dangers are also bad for your teeth, especially for children. According to dental nutritionist Dr. Steven Lin, parents should take particular notice of their kids’ eating habits during this sugary season. 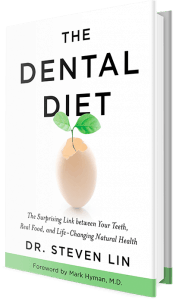 Dr. Lin, an experienced dentist and the world’s first dental nutritionist, has analyzed our ancestral traditions, epigenetics, gut health, and the microbiome in order to develop food-based principles for a literal top-down holistic health approach. Merging dental and nutritional science, Dr. Lin lays out the dietary program that can help ensure you won’t need dental fillings or cholesterol medications—and give you the resources to raise kids who develop naturally straight teeth. With our mouth as the gatekeeper of our gut, keeping our oral microbiome balanced will create a healthy body through a healthy mouth. Dr. Lin arms you with a 40-day meal plan, complete with the Dental Diet food pyramid, exercises for the mouth, recipes, and cooking techniques to help you easily and successfully implement his techniques into your everyday life. The tools to improve overall wellness levels and reverse disease are closer than we think—in our markets, in our pantries, and, most frequently, in our mouths—if not just a well-chosen bite or two away. Manage staff performance with Armstrong’s Handbook of Performance Management: An Evidence-Based Guide to Delivering High Performance, which covers the latest innovations in performance management as well as guidance on feedback, pay and personnel development planning. The latest book from renowned author Michael Armstrong addresses all areas of performance management. Organizations can optimize staff performance with this handbook on everything from performance pay and giving feedback, to managing underperformers and having difficult conversations. This 6th edition is fully updated and analyses both traditional and new developments in performance management, such as the shift from ratings and annual reviews. These new approaches are examined by HR expert Michael Armstrong to deem where new approaches should be embraced and where more traditional methods are preferable. Packed with examples, exercises, checklists and new case studies from organizations such as Microsoft, IBM and Expedia, Armstrong’s Handbook of Performance Management: An Evidence-Based Guide to Delivering High Performance remains the most authoritative and engaging textbook on performance management. Supporting online resources for the book include an instructor’s manual, a student’s manual, lecture slides, a glossary of terms and a literature review to fully support both teaching and learning. The American Diabetes Association has a new cookbook: THE COMPLETE MONTH OF MEALS COLLECTION. This bonanza collection of recipes and kitchen tips is designed to provide busy, at-home cooks with 31 days of no-fuss meal planning. Readers will discover new recipes, from comfort foods to quick and easy dinners, and will be able to put their own spin on classics their family already knows and loves. With a full month of diabetes- and family-friendly breakfasts, lunches, and dinners, the book will minimize the time readers spend worrying about what to make and whether a recipe is okay for those with diabetes, and maximize the time they spend doing what they love. Every athlete, especially runners, knows that deciding what to eat is one of the most important—and most complex—choices that he or she has to make in order to guarantee optimum performance. How much should you eat, when should you eat, and what foods should you eat are just some of the larger questions that an active athlete frequently ponders. How do you know what’s the right choice? That’s where sports dietitian and competitive runner Jackie Dikos’s Finish Line Fueling: An Essential Guide to Runner’s Nutrition comes in. Part cookbook, part nutritional guide, Finish Line Fueling helps you get the most out of what you eat. Jackie Dikos, registered dietitian and nurse, ensures that all the recipes and facts included in her book are nutritionally sound. She is an experienced runner whose credits include a first place finish in the 2014 Indianapolis Marathon. Dikos is a frequent columnist for Runner’s World, RunnersWorld.com and runs her own website and dieting services blog, www.nutritionsuccess.org. Superconsumers: A Simple, Speedy, and Sustainable Path to Superior Growth, published by Harvard Business Review Press, is a fun, practical, and inspiring guide for anyone interested in making their best customers even better. Pork dorks. Craftsters. American Girl fans. Despite their different tastes, these eclectic diehards have a lot in common: they’re obsessed about a specific brand, product, or category. They pursue their passions with fervor, and they’re extremely knowledgeable about the things they love. They aren’t average consumers–they’re superconsumers. Although small in number, superconsumers can have an outsized impact on a company’s bottom line. Representing 10% of total consumers, they can drive between 30% to 70% of sales, and they’re usually willing to spend considerably more than the average consumer. And because they’re so engaged and passionate, they can offer invaluable advice to managers looking to improve their products, change their business models, energize their cultures, and attract new customers. In “Superconsumers,” growth strategy expert Eddie Yoon lays out a simple but extremely effective framework that has helped companies of all types and sizes achieve more sustainable growth: he’ll show you how to find, listen to, and engage with your most passionate and profitable consumers, and then tailor your decisions to meet their wants and needs. Along the way, he’ll let you into the minds and homes of superconsumers of all kinds, revealing what makes them tick and why they’re willing to spend so much more than other consumers. “Superconsumers” is rich with data and case studies of companies that have implemented superconsumer strategies with great success. When it comes to smile-fetching sweets you can’t go wrong with cookies! From soft and chewy to crisp and crunchy, the buttery sensations always get thumb-up approval. This new book features hundreds of full-color photos, this must-see edition offers after-school snacks, coffee-break bites, classroom treats, bake-sale favorites and holiday delights that are perfect throughout the year. You’ll even find cookies that celebrate days such as National Potato Chip Day (March 14), Jelly Bean Day (April 22) and National French Toast Day (November 28). 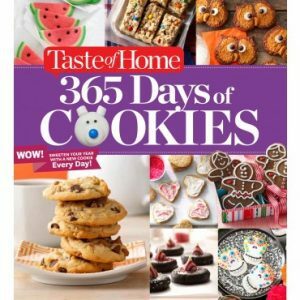 Best of all, a Christmas- Cookies Bonus Section makes this cookbook a home baker’s dream come true! 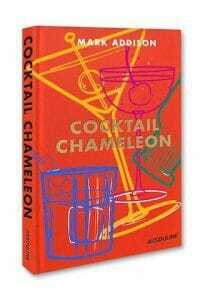 Cocktail Chameleon is award-winning designer and producer Mark Addison’s invitation to join him as he dresses up twelve cocktails in twelve unique variations resulting in 144 signature takes on the classics. Mark tantalizes with molecular mixology to create the Anti-Gravity, reinvents the beloved Bloody Mary with sake, and invokes the famed royal rose garden with the Versailles. Inspiring the creative mixologist in everyone, this beautiful book will become an instant hit with hosts looking to elevate an occasion and entertain in style! 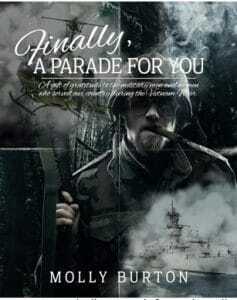 Finally, A Parade for You is a collection of mini-biographies of United States war veterans who served their country during the Vietnam War. These brave people sacrificed their peaceful lives and joined one of the many life-changing cultural upheavals of the mid-20th century. They were not famous, nor from privileged backgrounds and the stories in this book are an act of faith on the part of the veterans who shared them. Let their tales be inspiring and healing. This ‘Parade’ is for all of us. Journalist Simon Thibault explores his Acadian roots by scouring old family recipes, ladies’ auxiliary cookbooks, and folk wisdom for 50 of the best-loved recipes of Acadians past and present. Recipes run the gamut from Acadian staples such as potato pancakes, Rappie Pie, Chicken Fricot, and various forms of meat pies; old-fashioned foodways, such as how to render your own lard, and make the most of out a pig’s head; and sumptuous sweets take the form of Rhubarb Custard Pie or a simple Molasses Cake. 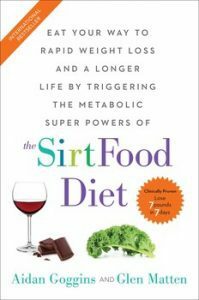 The Sirtfood Diet is an international bestselling sensation that will help you lose up to seven pounds in seven days. The revolutionary plan—credited for Adele’s amazing weight loss—features food rich in special nutrients that activates the same skinny genes in our body that fasting triggers. This delicious food group includes red wine, garlic, coffee, chocolate, and walnuts. In addition to Adele, both Pippa Middleton and heavyweight champion David Haye have used the diet for increased energy and improved performance along with amazing weight loss. Back in its beloved classic format, The Complete Month of Meals Collectionis the ultimate cookbook and nutrition guide for people with diabetes, containing hundreds of recipes and meal planning tips from the American Diabetes Association’s bestselling series of Month of Meals meal planners. Using a unique, three-part split-page design, this interactive book allows readers to create meal plans instantly. With bonus chapters on salads, sides, drinks, and desserts, the meal combinations are nearly limitless, helping you plan meals that fit your needs. The majority of employees find little value in their work and dread going into the office. CEO Dudley R. Slater believes that some of the reasons for this phenomenon can be laid at the door of leaders. In Fusion Leadership: Unleashing the Movement of Monday Morning Enthusiasts [Available September 12, 2017, Greenleaf Book Group Press], Slater combines the powerful stories of eight prominent leaders with his own journey of becoming the leader he is today and what he continues to aspire to be. Entrepreneur Bryan Johnson released a new book for middle-grade readers that would make a great gift: Code 7: Cracking the Code for an Epic Life. It’s a fiction book that draws from his incredible experience to offer kids a sort of “recipe for success” – but redefines what that success means. Our definition of success and happiness is largely shaped by society; whether it be wealth, climbing the corporate ladder, being famous, etc. Our lives have become so complicated and cluttered that we seem to have forgotten the basics. When you dig deeper, the values of empathy, tolerance, compassion, and trust are missing. The Legacy Letters teaches us how to go back-to-the basics, enjoy traditions, and be in the moment. The Legacy Letters is told through a series of personal letters written by a father who would never live to see his children. These letters ultimately serve as the children’s practical, moral, and spiritual guidebook for their entire lives as they offer bite size morsels of advice on life, love, and everything in between. Dr. Kathy McCoy explores the increasingly common issue of estrangement between adult children and their parents in her new book, We Don’t Talk Anymore: Healing After Parents and Their Adult Children Become Estranged. “The shame associated with being alienated from your child or parent keeps many people from sharing their suffering and, more importantly, from taking a step toward healing their relationship,” according to Dr. McCoy. As the holiday season approaches and rifts often become even more apparent, We Don’t Talk Anymore shows families how to break the silence, and find new understanding and reconnection. Christmas Papercrafting: Holiday Cards, Gift Tags, and More! : Inside Christmas Papercrafting, you’ll find everything you need to celebrate the season with festive papercrafts, from greeting cards and mini cards to gift tags and bookmarks, all beautifully illustrated with joyous imagery and merry sentiments. Cute Christmas Holiday Coloring Book: These adorable kitties, puppies, and other critters may be on the naughty list—but they’re still really cute! Have yourself a furry little Christmas with this heartwarming coloring book featuring happy pets in festive settings. Santa’s Kitty Helpers Holiday Coloring Book: If you love cats and you love Christmas, get ready for hours of relaxing creativity! The expressive-eyed furry friends depicted in the artistry of acclaimed illustrator Kayomi Harai have a wonderful way of capturing hearts. Now her delightful felines are even melting Santa’s heart in this adorable Christmas coloring book. The holidays presents a great opportunity for CEO’s and business leaders to empower their executive teams. If you’re looking for thoughtful business related office gifts for the holidays, check out Rob Bernshteyn’s Value as a Service. Bernshteyn, CEO of Coupa says the business model is evolving to a new standard where companies must offer a clear and quantifiable long-term value in order to compete. His book Value as a Service outlines what this means for businesses across all industries and the major disruptions businesses should plan for. To get the most from Medicare and Social Security, you need accurate information that steers you clear of bad advice and costly pitfalls. Two newly updated books from AARP and Wiley, Medicare For Dummies, 3rd Edition, and Social Security For Dummies, 3rd Edition, guide you through these systems with easy-to-understand explanations and details so you make the most of your benefits. Whether you’re applying for yourself or for a loved one, you can trust these guides from the nation’s top experts. Approximately 58 million people receive Medicare benefits, and nearly 61 million people receive Social Security benefits; 97 percent of people ages 60 to 89 either receive Social Security or will receive it, according to Social Security Administration estimates. Clearly, there is a huge and pressing need for plainspoken, commonsense advice and up-to-date information on both of these programs. Written by Patricia Barry, a nationally recognized authority on Medicare and Medicare Part D prescription drug coverage, Medicare For Dummies, 3rd Edition, addresses the complexities of Medicare and helps those eligible for benefits maneuver the claims process. With the easy-to-follow, comprehensive guidance in this book, you will get tips on reducing out-of-pocket expenses, information on your rights and protections, and ways to choose the best policy. For many, Social Security forms the foundation of their retirement income. Social Security For Dummies, 3rd Edition, provides readers with the information they need to take charge and successfully navigate the U.S. Social Security Administration. This easy-to-access guide, written by award-winning journalist Jonathan Peterson, offers the sound, trusted guidance you need. It provides a clear understanding of when and how to apply so you can rest easy knowing that you and your family are getting the benefits you’ve earned. Too often, Jewish cookbooks feature recipes that lack whole grains and include too much salt, fat, sugar, and processed foods. 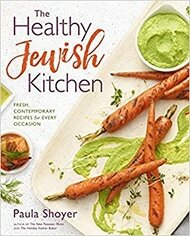 But Paula Shoyer’s delicious take on Jewish cooking is different: she uses only natural ingredients and offers a fresh, nutrient-dense spin on every dish. Included are more than 60 Sephardic and Ashkenazy Jewish classics, minus the frying, margarine, frozen puff pastry, and soup powders. Jewish soul food, finally made healthy! Immunopatient details one man’s personal journey to discover the medical breakthroughs and cutting-edge treatments in the quest to cure his cancer. Immunopatient is part gripping memoir, part report from the frontier of cancer medicine. “Immunopatient provides the reader with hope, inspiration,” states Harvard Medical School’s Dr. James Mier. When an X-ray of a sore arm quickly leads to a diagnosis of Stage IV kidney cancer—one which would soon affect his bones, his lungs, lymph nodes, and brain—Peter Rooney’s world is changed forever. Faced with the prognosis of an incurable disease and armed only with the will to fight back, Immunopatient author Peter Rooney conquered both fear and illness through mindfulness and positive action. Rooney chronicles his desperate search for hope and healing, and the experimental treatment that will give him a chance to strike back at his disease. Immunopatient, both humble and human, showcases the heights of medical science and the depths of human endurance, proving that anything is possible as long as you keep moving forward. Slips, trips and falls are the types of accidents that are so common and increasing among the aging population. Falls are the leading cause of fatal and non-fatal injuries for older Americans. Falls threaten seniors’ safety and independence and generate enormous economic and personal costs. In 2014 alone, older Americans experienced 29 million falls causing seven million injuries and costing an estimated $31 billion in annual Medicare costs. Russell J. Kendzior is an internationally recognized slip, trip, and fall expert. Kendzior is experienced in the production of slip-and-fall prevention products including slip-resistant footwear, floor coverings, coatings, finishes and cleaning agents. He is a leading researcher, educator and expert consultant to the manufacturing, insurance, and safety industries. Specific advice for all areas of a home (inside & out) – walkways, bathrooms, kitchens, etc. His book examines a small fraction of the cases he has worked on during the past 20 years as an expert witness and is a great resource which explains what can be done to prevent slip, trip and fall injuries and thus avoid potential lawsuits and the costs involved for everyone – monetary, physical and emotional. for more details, visit TractionExperts.